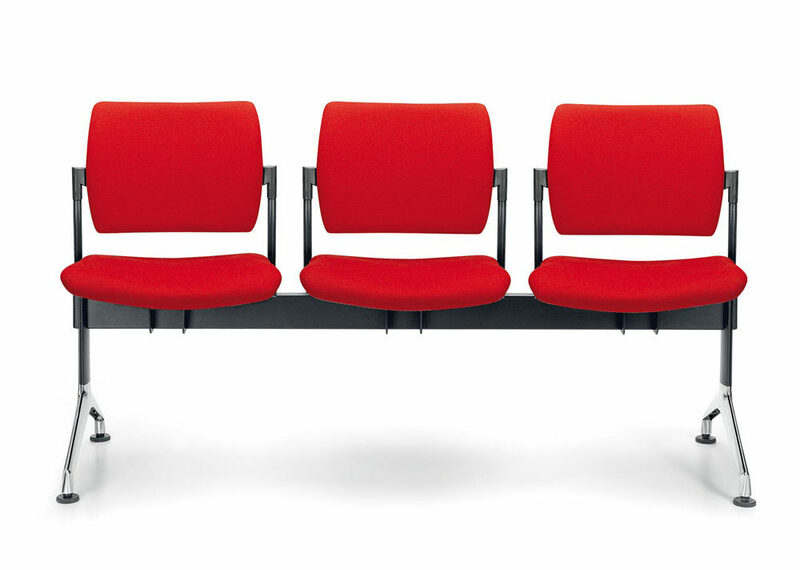 Choosing a chair for waiting rooms means selecting a product that is resistant to time, to use and for the different categories of people who will use it. For all these reasons, it should be chosen very carefully. The waiting room, moreover, must be furnished with care, because it is the first room that customers see: it can be considered a bit like the business card of the company itself. If comfortable and well furnished, with comfortable chairs, you can immediately make a good impression and leave, following the meeting, an excellent memory in people who will visit your office. Not only the chairs, in a waiting room it is also very important to place the right accessories and evaluate the appropriate lighting, in order to create a room where visitors can always feel welcome. The image of a company is built with many small details. Let’s see what are the features to create perfect waiting rooms. First of all, the size of your room will be evaluated. Depending on the size of the room you can choose whether to add armchairs or more functional chairs. If the space is small, in fact, the armchairs would be cumbersome and a series of stackable chairs or that take up little space would be much more comfortable. In addition, essential and minimal seating will give a more spacious effect to the room. If the place where your visitors wait has instead bigger sizes, you can indulge yourself and decide whether to furnish it with small armchairs and other furnishing accessories that will give the environment importance and style. Another important element to consider is: how much do you want your waiting room to be formal? We explain better: if it is, for example, a study of notaries or lawyers, the environments will require a certain formality and even the waiting room will therefore have to be furnished in an elegant way, perhaps with leather or eco-leather armchairs. If we talk about certain contexts, such as the waiting room of a doctor’s office, where we sit down to wait for important outcomes and meetings, making people feel at ease is even more fundamental. If instead you have to furnish a waiting room in a hospital or any other place, with a high intensity of visitors, it is advisable to use wooden, eco-leather or metal beam seating, in order to promote greater hygiene and easy cleaning. The use of the seats on the beam also has the advantage of having the waiting room always in order. Taking up the beginning of this article, there are many possible combinations for a waiting room chair, the important thing is that they are resistant in terms of wear and that they return a good first impression to customers who visit your company. Inside the waiting rooms, in addition to the seats, add more elements that can make your visitors relax, like books and magazines and do not forget to include plants and other decorative accessories.